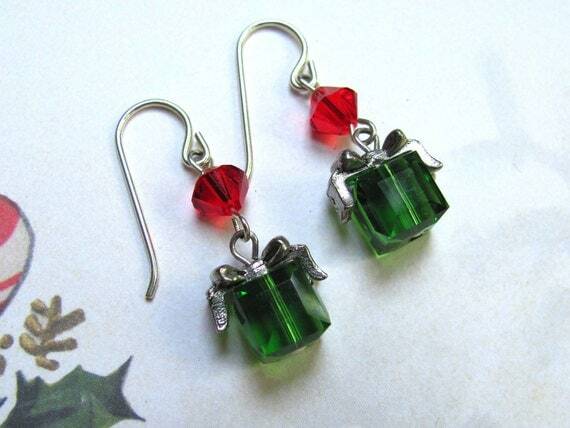 These bright holiday present earrings are made with fern green Swarovski crystal cube beads, light siam Swarovski crystal bicone beads and antique silver pewter bead caps. These are very festive earrings for the holiday season! "Grinch" earrings are hung on 20 gauge sterling silver earwires and measure approximately 1 1/4" from the top of the earwire. Your earrings will come on a decorative handmade earring card in a pretty organza bag. 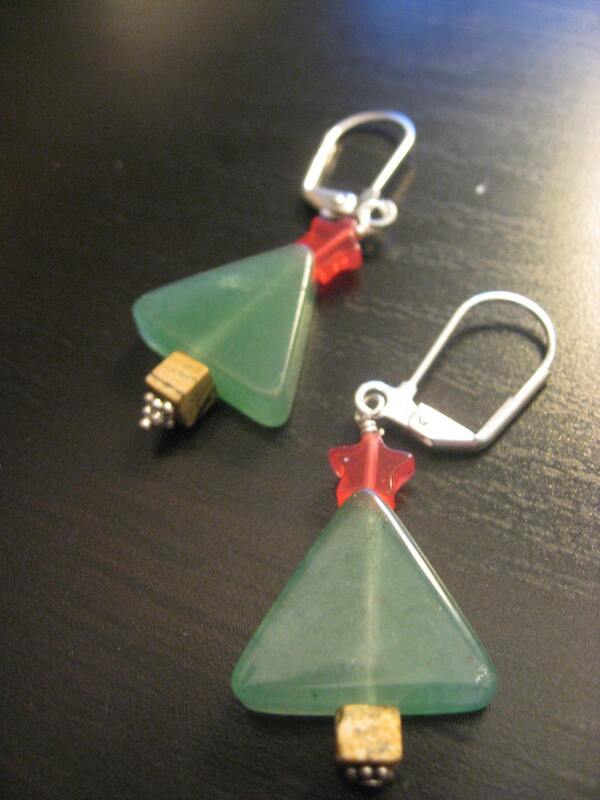 These earrings are super cute for the holidays. Wear them to your work party, your childs last day of school before winter break, family Christmas parties, Christmas Mass... the possibilities are endless to show off your holiday spirit. They are made with quality stone and crystal beads, adding not only the cheer, but class to your outfit. They are leverback earrings, minimizing the possibility of losing... and they hang nicely. 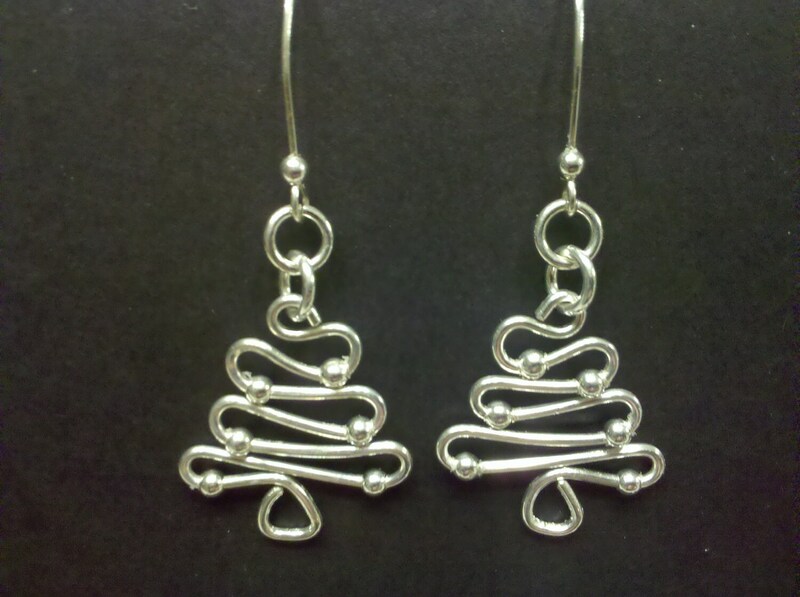 Sterling silver Christmas tree earrings are decorated with 3mm ss beads on bent wires. Earring length is 2.5”, weight is 3.3 grams, 16 gauge wire. 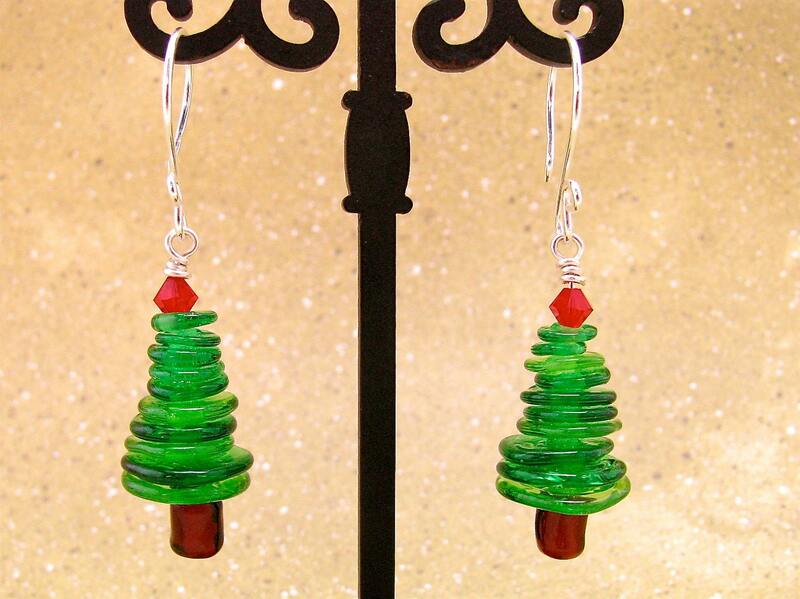 I made these Christmas tree lampwork bead earrings out of my little handmade green lampwork discs. I just stack them up at bingo! a tree. The base is a brown lampwork barrel bead, the star is a bright red Swarovski crystal bi-cone, and the ear wires are sterling silver. You'll be wearing these from now 'til the holidays! I lovingly design and make my lampwork beads with soft Italian glass rods and my trusty Mini CC torch. I only do it because it's fun. All my beads are kiln annealed.